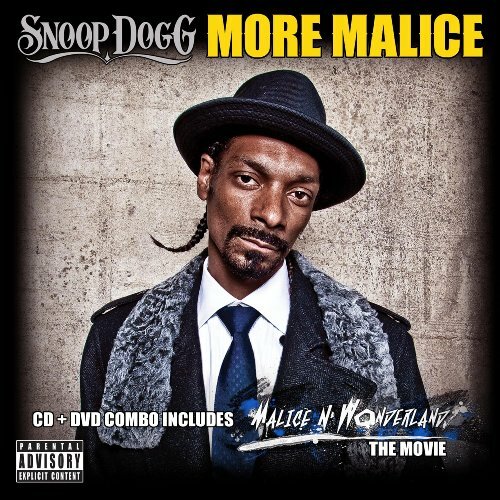 THE MOVIE: In Malice N Wonderland – the movie, Snoop plays the gangsta/superhero, Malice in Wonderland, a hip hop version of Gotham City where an oppressive arch-criminal Cain rules with an iron fist. and controls both the crooked police force and corrupt city officials. Malice mobilizes all the divided crew of Wonderland to come together and engage in an underground hip hop battle to overthrow Cain. The movie features appearances from Jaime Foxx, Xzibit, DJ Quik and Soulja Boy Tell `EM among others THE ALBUM: Not simply a deluxe version, More Malice features exciting new content including 5 new songs and two new remixes. Included is the hit single I Wanna Rock The Kings- G mix featuring Jay Z which is currently #1 song at Urban and Rhythm radio, Pronto remix now featuring Bun B in addition to Soulja Boy Tell’Em and That Tree featuring Kid Cudi. These are included in addition to some of the favorites from Malice N Wonderland. I make a mistake, the Release Date is suppose 2010-03-16, not 2010-01-06!